Do you want to make a difference in someone’s life? Here’s How. Invest in the lives of our participants living right here in our community! You may also stop by or call our office during our hours to donate in person or by phone. All of our contact information and hours are at the bottom of the page. Check out our monthly donation payment option on PayPal! 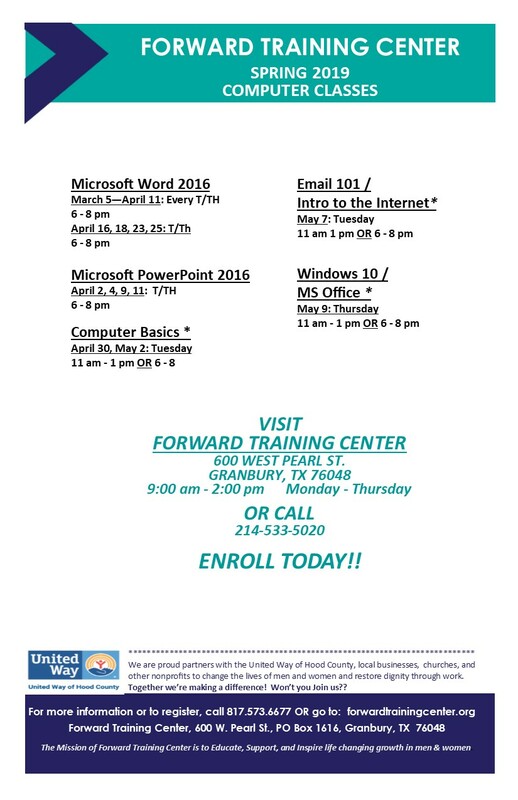 Forward Training Center is a 501c3 Nonprofit Organization & Donations are Tax Deductible. Do you ever shop online? Amazon will donate a portion of your purchase to Forward Training Center. All you have to do is log on to amazonsmile.com, select Forward Training Center as the charity of your choice, and Amazon will send us a check! AmazonSmile is the same Amazon you know. Same products, same prices, same service. Looking for other ways to donate? Giving Thanks to Our Selfless Volunteers in National Volunteer Month! Spring 2019 Classes are Here! Our mission is to educate, support, and inspire life changing growth in men and women.